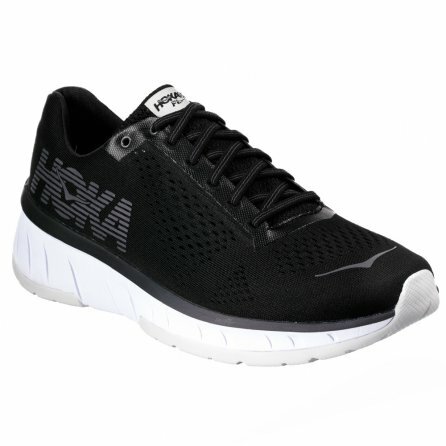 You'll love the feel of the HOKA ONE ONE Cavu Running Shoes so much you'll want to wear them even when you're not running. And the good news is, you can. It's still packed with running-specific technologies, like a PROFLY™ midsole that's softer in the heel to smooth out harsh impacts, and firmer under the toes so more of your energy can go into moving you forward. But it's also lower at the cuff and underfoot than other HOKA ONE ONE shoes, so you'll feel more comfortable wearing them anytime, anywhere. That way there's no situation where you can't enjoy the comfort of the lycra-lined Engineered Mesh upper, or the stabilizing effect of the low 4mm drop that puts your feet in a better position for comfort and performance.